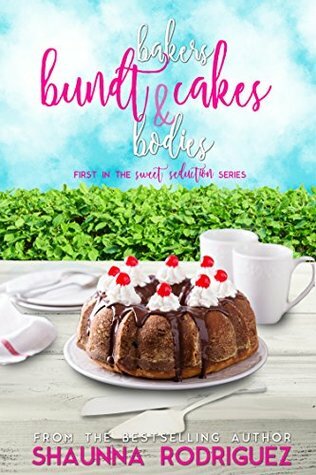 I just hard from Toni Michelle at Polished Pages Editing that Shaunna Rodriguez’s Bakers, Bundt Cakes & Bodies was recently released on Amazon for $.99. This book looks killer, make sure to check it out. Sugar and spice and everything nice is not what you get with Tara Parks when it comes to Creative Confections Bake-off. After four years of whisking, mixing and whipping her way to the top at Le Cordon Bleu in Paris, Tara’s dream of owning her own bakery has finally come full circle. Returning home to Depoe Bay, she and best friend, Corey Wallace, have opened the doors to Sweet Seductions Bakery. Buddies since grade school, Corey Wallace and Stephen Briggs grew up sweeping the girls off their feet and breaking those same hearts from one side of the Bay to the other. It seemed the two playboys would never grow up, but somehow, they managed to enlist budding careers as detectives for the DBPD. In the midst of baking Bundt cakes and flavoring fondant, Tara is dealing with remnants of her and Stephen’s broken relationship, the inkling that Corey wants more than friendship, and the news that her nemesis, Ivy Flowers, has also been cast in the competition. How is a girl to focus?! Emotions are high and the sweet smell of vanilla fills the air the day of the bake-off. Everything is perfect, that is, until the body of Ivy is found on the women’s bathroom floor and Tara’s Chapstick in Ivy’s cold, dead hand moves her to prime suspect. With more bodies piling up, will Tara’s friends decipher this recipe for murder or will she be the next on the killer’s plate? Shaunna Rodriguez is an award winning, best selling author. 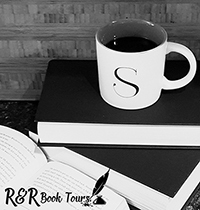 Shaunna published her first book in 2005 and since that time she ahs written over 100 books including such titles as Country Heels, Body Butter and Dark Water. Shaunna loves to travel to exotic places and loves spending time with her friends and family (when she isn’t writing, that is)! After you purchase you copy for $.99 on Amazon make sure to check out the following like for a chance to win a Kindle Fire here.